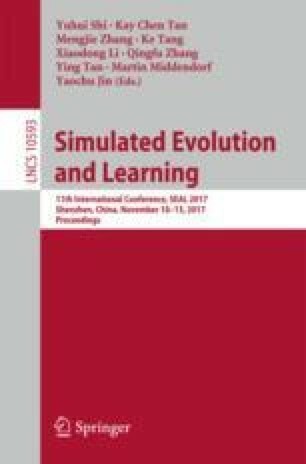 The performance of the most existing classical evolutionary multiobjective optimization (EMO) algorithms, especially for Pareto-based EMO algorithms, generally deteriorates over the number of objectives in solving many-objective optimization problems (MaOPs), in which the number of objectives is greater than three. Objective reduction methods that transform an MaOP into the one with few objectives, are a promising way for solving MaOPs. The dominance-based objective reduction methods, e.g. k-EMOSS and \(\delta \)-MOSS, omitting an objective while preserving the dominant structure of the individuals as much as possible, can achieve good performance. However, these algorithms have higher computational complexity. Therefore, this paper presents a novel measure for measuring the capacity of preserving the dominance structure of an objective set, i.e., the redundancy of an objective to an objective set. Subsequently, we propose a fast algorithm to find a minimum set of objectives preserving the dominance structure as much as possible. We compare the proposed algorithm with its counterparts on eleven test instances. Numerical studies show the effectiveness of the proposed algorithm. This work was supported by the National Natural Science Foundation of China under Grants 61672444, 61673121 and 61703108, in part by the Natural Science Foundation of Guangdong Province under Grant 2017A030310467, and in part by the Projects of Science and Technology of Guangzhou under Grant 201508010008, the SZSTI Grant: JCYJ20160531194006833, the Faculty Research Grant of Hong Kong Baptist University (HKBU) under Project: FRG2/16-17/051, and the MPCF Project of Knowledge Transfer Office in HKBU: MPCF-004-2017/18.